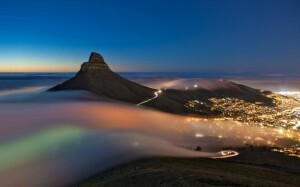 The search for a more relaxed lifestyle in scenic surrounds, backed by a general perception that the city is far better governed, under the DA, than other metros, fuelled a boom that made house prices in many sought-after areas of Cape Town double over the past five years. A strong increase in foreign tourist arrivals further supported cape town property sales demand in these areas — so much so that in 2016 a German couple was happy to fork out a staggering R290m for a Bantry Bay mansion. The sale set a new record for SA house prices. However, Cape Town’s housing party appears to have come to a halt now that the reality of the water crisis has set in and Day Zero looms ever closer. The City of Cape Town last week warned that if water consumption did not drop dramatically, municipal water supply to households would be turned off on April 12. Some commentators say Day Zero could arrive as early as March 3, given the severity of the drought. Splurging R30m on a swanky Camps Bay or Clifton abode no doubt loses some of its allure with the realisation that taking a hot shower and a refreshing dip in a sparkling clean swimming pool or running your washing machine and dishwasher may all soon become a thing of the past. Of course, it’s not only the crisis that has put a lid on Cape Town’s property boom. Affordability issues also play a role. FNB property strategist John Loos says semi-gration to the Western Cape is no doubt losing momentum on the back of the widening gap in house prices between Cape Town and other SA cities. “New entrants are simply being priced out of the market,” says Loos. 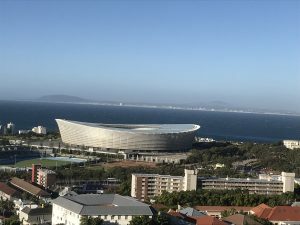 Moreover, the image of the DA-run local and provincial government has been tarnished in recent weeks following the poor handling of the water crisis and internal wrangling among DA members have affected cape town property sales. Industry players confirm that sales have already slowed markedly in upper-end suburbs, particularly on the Atlantic seaboard, the premier playground for the uber rich and arguably the city’s most popular second-home destination. Lew Geffen, chairman of Lew Geffen Sotheby’s International Realty, says sales volumes across Cape Town’s top-end suburbs are down around 30% year on year. As a result, prices have already dropped in some suburbs and cape town property sales have slowed. Geffen refers to Lightstone Property’s latest figures, which show that in Fresnaye average house prices are down 1.76% in the three months ending November — from a 12-month average of R15.21m to R14.94m. Bantry Bay took a bigger knock, with the average sales price of R12.95m in the three months ending November being 15.9% lower than the annual average of R15.47m. In Sea Point and neighbouring Greenpoint, average prices dipped by 7.89% and 3.26% respectively over the same period — from R7.29m to R6.72m and from R7.29m to R7.05m. Geffen argues that it’s not the water crisis alone that is to blame for a turn in market sentiment but rather SA’s overall recessionary climate and low investor confidence. 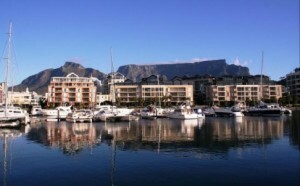 Some properties are selling for as much as 20% below asking price,” says Seeff Atlantic seaboard agent Pola Jocum. She says sellers will have to become more realistic in their asking prices and stop using overpriced listings to guide their price expectations. The only area in Cape Town where the taps are likely to remain on once Day Zero arrives is Cape Town’s inner city. Reddy says water supply to the CBD won’t be interrupted as it’s a key priority to keep economic activity intact in what is Cape Town’s main business hub. This is likely to provide a substantial boost to inner-city apartment sales, though local government still needs to map out the exact area where the taps will be kept open. While some estate agents believe the drought-induced dip in Cape Town’s status as SA’s prime property and tourist destination may be shortlived, the Mother City may well face a prolonged period of stagnation with cape town property sales and growth.